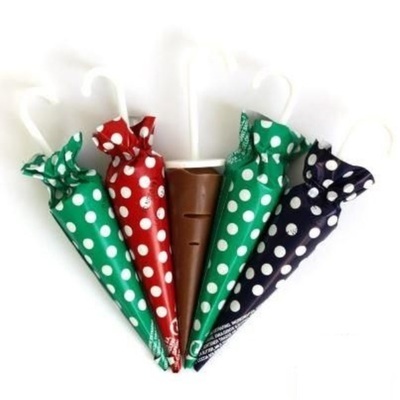 Cute and usual umbrella shaped chocolates ideal for party bags. 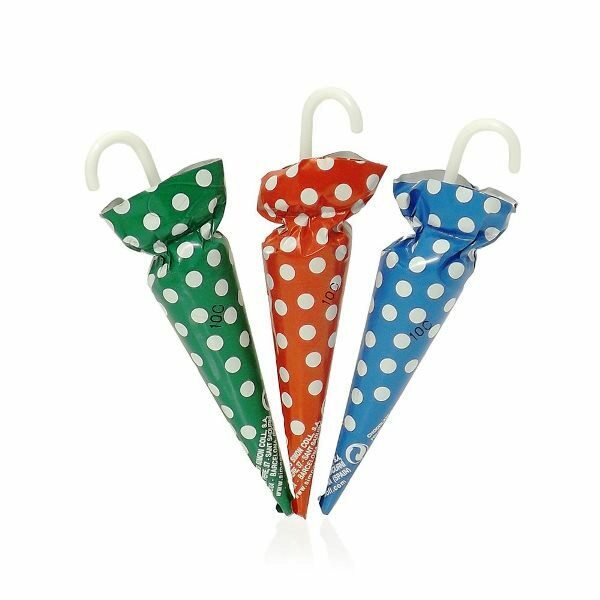 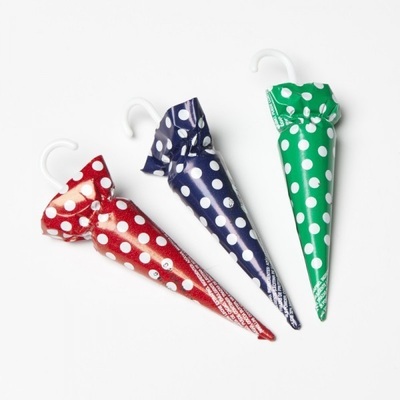 Extra Fine Milk Chocolate umbrellas in beautiful wrappings, like these ones in polka dots paper with a hook. This display contains 30 umbrellas of 35g each. Ingredients: sugar, cocoa butter, whole milk powder, cocoa mass, emulsifier (soya lecithin) and flavouring (vanila).Cocoa solids 32% minimum. 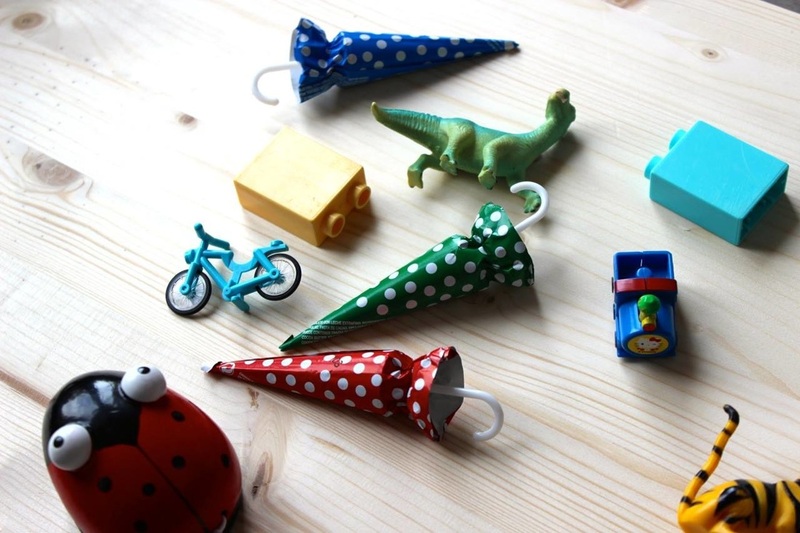 Milk solids: 20% minimum. 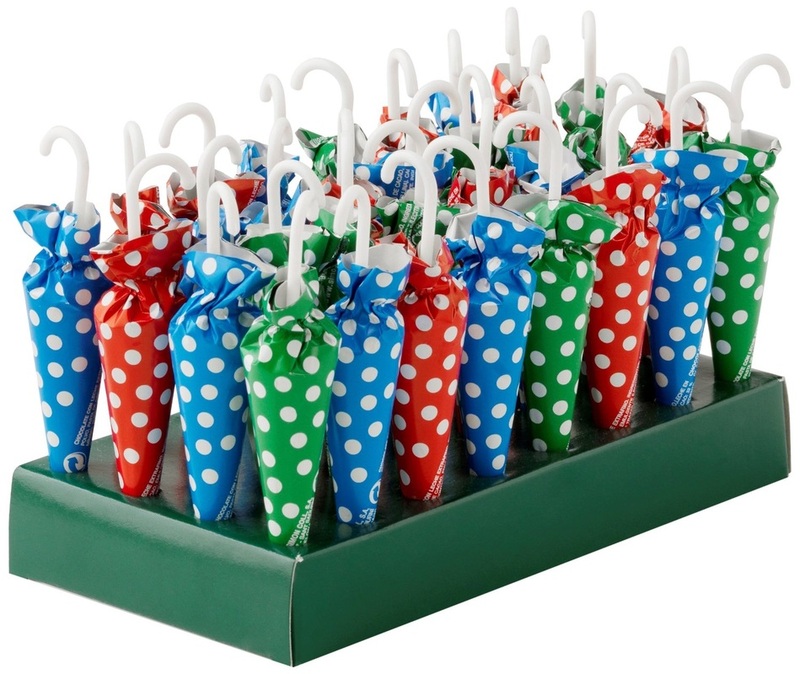 May contain milk traces.